The moment you have several ideas down on pieces of paper, you need some files. Not a lot of them. You might start with only five or six. 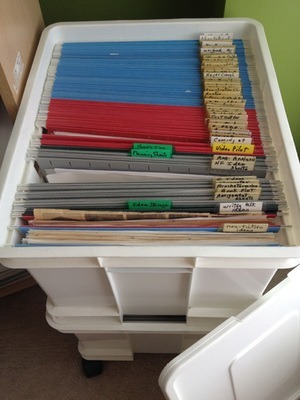 You can easily buy a small metal holder with half a dozen or so coloured folders in it. Mark the blue folder Nonfiction Ideas, the red one Fiction Ideas, the Purple one Drama Ideas, the yellow one Poetry, the pink one Resources, and the grey one Business…. Now, you may have decided you only want to write in a specific genre. Say fiction. No non-fiction for you. And definitely no poetry or drama. That’s your choice, but if you’re just beginning to write, I’d suggest you at least have a few extra file folders just in case. You never really know where an idea will take you. Better to be prepared. If you’re sure you are sticking to one genre, say Fiction, then you might want files for novels, short stories, characters, plot ideas, settings, and so forth. For Non-Fiction, you might want article ideas, column ideas, personal story ideas, anecdotes, quotations, etc. For poetry, different types. And so forth. 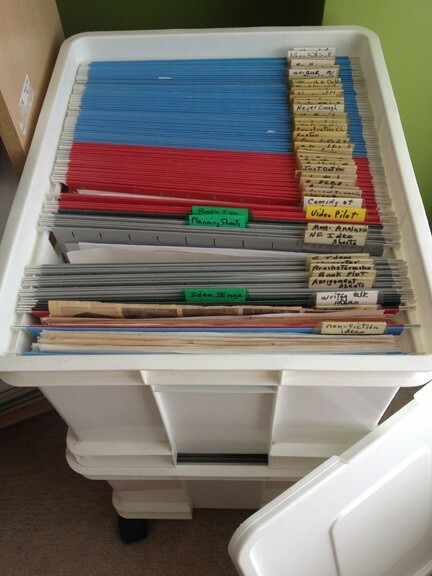 Of course, as you get going, and one or more of your folders begins to get full, you’ll need more folders. Or you may already have lots of ideas. In which case you’ll want a desk drawer, a filing cabinet, or a few cardboard filing boxes filled with folders. What you do next is tear each idea page from your notebook and file it in the right spot. Or, if you have a notebook filled with ideas, write each one down on a separate page and file it. Let’s say the idea you take from your fiction folder begins to blossom into a short story. Now you need a file folder for that story. If your catchall Fiction folder for ideas is red, you might want to get more red folders and give one of them the title of your new short story. As you go on, creating first drafts of stories, article, poems, or plays, you can designate a folder for each one. 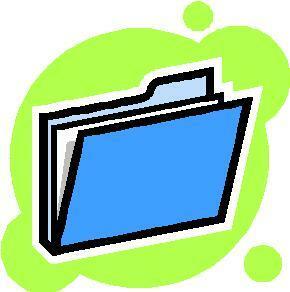 You’ll also soon find yourself in need of more general business files. One for writers groups you belong to (maybe one for each group if they send out a lot of information). 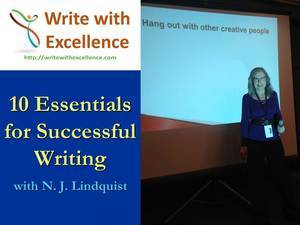 One or more for writers conferences you attend. Another one for information about potential publishers, one or more for information you gather on topics such as writing believable characters, how to create rhymes that aren’t cheesy, goals, and so forth. The other thing you may want to do if (or when) you have oodles of ideas, is to sort them into a few topics. Maybe you’re a parent and have lots of ideas for other parents. Or maybe you’re a nurse, a pastor, a lawyer… and you have a lot of ideas that might be of interest to others in your profession. Or maybe you’re passionate about justice, good food, safe water, etc. You can not only gather your ideas for things you could write about, but also print off relevant articles, cut out stories from newspapers, and file all the items you want to keep until you know what you want to do with them. Can you do all this electronically? Sure. I’ll take about that later. If you’re like me, you might want everything in hard copy and electronic.